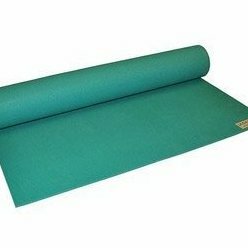 Premium 3/16-inch yoga mat made with open-cell, natural rubber. Offers terrific slip-resistance even with perspiration on the mat. Produces exceptional resilience and incomparable cushioning. Made with no PVC or ozone-depleting substances. Washes easily with soap and water; comes in 68- and 74-inch lengths.